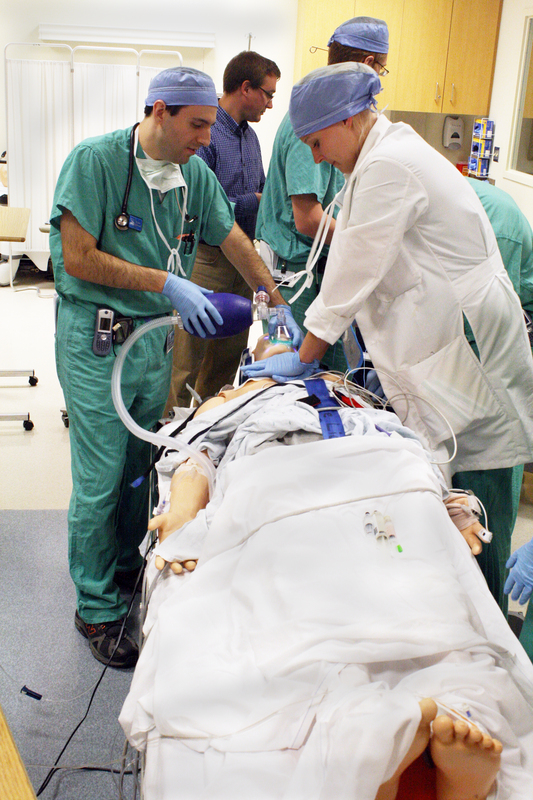 Anesthesia residents work a cardiac arrest simulation in the Center. To schedule a simulation session using existing cases or for a basic skills-only session, please call Jessica Culver at (717) 531-0003, extension 286740, or call the main center phone number, (717) 531-4099. For new case-based sessions or for more complex skills sessions, please contact Jessica Culver and request a meeting with a Simulation Center Educator and Technologist to review your projected needs. The following forms are completed for each simulation project and are included here to allow instructors to prepare for the development meeting. The Simulation Center staff is responsible for filling out all necessary forms. It is recommended for complex cases that the instructor conducts a run-through with a technologist to ensure the scenario, equipment and manikins work as planned. It is recommended for all cases that the instructor arrives at the Center ahead of the training group to review the case and setup and adjust if needed.